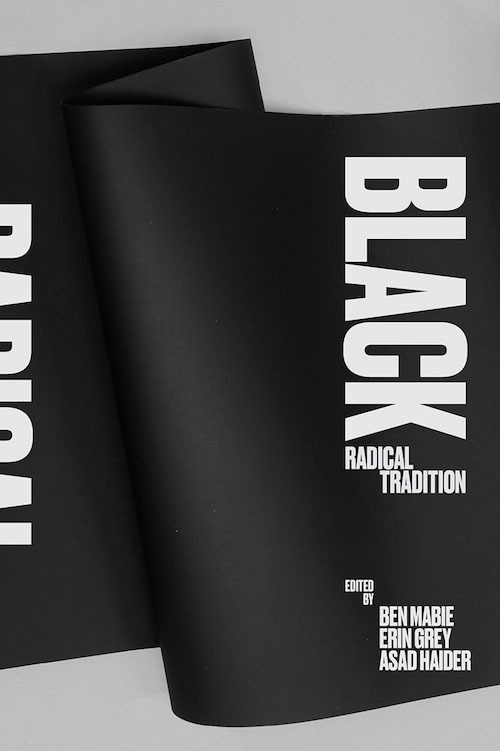 Erin Gray, Asad Haider, and Ben Mabie's edited volume, Black Radical Tradition: A Reader, will be published by Verso in November. With activists taking to the streets with renewed vigor to fight racism, inequality, and capitalism, this collection of classic writings and primary documents restores the historical grounding and revolutionary genealogy of today’s protest movements. Including key writings of thinkers and figures like W.E.B. Du Bois, Hubert Harrison, Harry Haywood, Claude McKay, Claudia Jones, C.L.R. James, Malcolm X, Angela Davis, Audre Lorde and the Combahee River Collective, this is the most comprehensive collection of revolutionary black voices ever assembled. In highlighting the central debates that animated the movement through its long history, it registers the monumental import once of black radical theory to our understanding of the past and present alike. Incisive contextual materials from the editors help situate each contribution in its historical and political setting, and a preface from Barbara Ransby argues for the resounding purchase these authors have for our own time. The book is a powerful testament to over 150 years of struggle, a valuable resource for both scholars and activists.